NEXT | Know Your Lore: What if Dranosh Saurfang hadn't died? 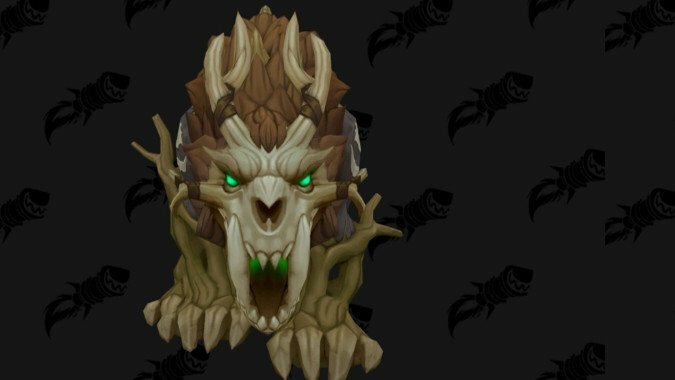 We’ve seen the Kul Tiran Guardian form, now we’re getting a look at the Feral form, thanks to the folks at Wowhead. I have several reactions to this form, because it’s really a big departure, even more so than the excellent Zandalar Druid forms which are all awesome dinosaur-eque models. Those are at least still animals. These look like you went out to the woods and wove sticks, rocks, and bones into some kind of horrific effigy of an animal, except you turn into it and shred people’s faces like a monster from the upcoming Blair Witch remake you know will happen soon. If I saw this thing I’d not want to go anywhere near it. Zandalari Druid forms are soft and cuddly armored dinosaurs, where these things look like wicked evil magic given life and form by a demented forest hag like Baba Yaga. Which does seem to be the vibe in Drustvar, I’ll admit, so it’s certainly fitting. It’s very much in line with their Guardian form, and it’s certainly intimidating and cool and unique. All these new forms have me thinking Blizzard really wants me to reroll Druid. I’m not going to, but wow, I may actually end up leveling two Druid alts just to have the Zandalar and Kul Tiran models to play around on. 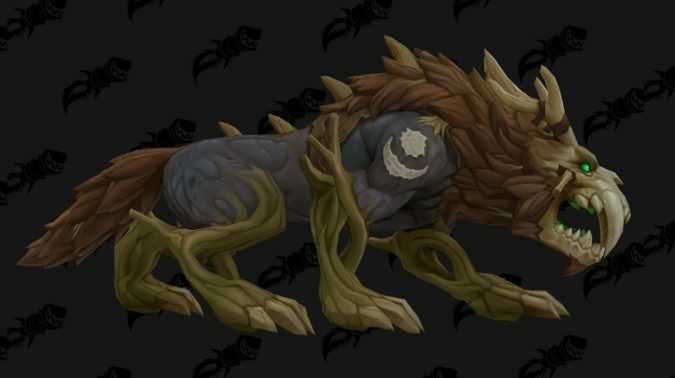 At the same time, they definitely have a nature run amok aesthetic that kind of reminds me of Druids from Diablo 2 — the head which could be bone or could be stone, the carved wood feeling of their limbs, the mane of leaves — it’s all exceedingly well done and just oozes a creepy vibe of nature run wild. You have trespassed in the forests of Kul Tiras and now this thing is going to shred your face off. What do you all think? 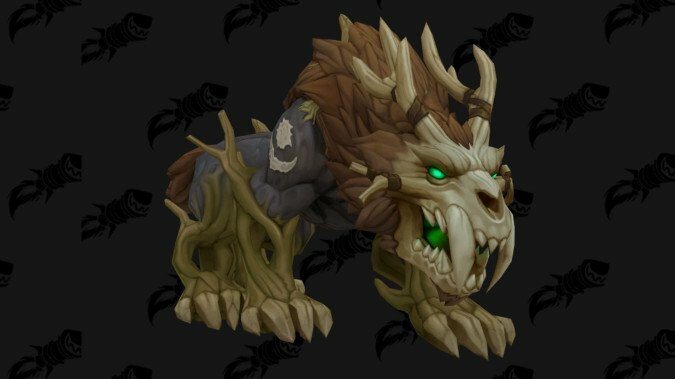 Are you excited for this new form for Kul Tiran Feral Druids? The first Human druids in the game are certainly bringing their own vibe. I like it.